Pressured by the left, ignored by the right: Conservative immigrants stuck in the middle with who? Immigrants are naturally assumed to gravitate to the political left. 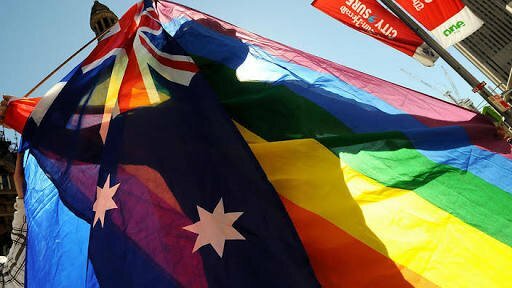 However, the marriage equality debate shows that conservatism needs to be questioned in minority cultures as much as everywhere else. According to some, the reason why parents are taking their kids out of public schools is that they don’t want them next to immigrants. The reality is quite different. Roanna Gonsalves’ book of short stories is a brilliant chronicle of migrant experiences, but is it better or worse for being limited to one tiny subset of the Indian community? The phenomena that made President Trump lie at the feet of Kim Kardashian, Mark Zuckerberg and ourselves. Are we not entertained? The National Gallery of Victoria’s Simon Maidment speaks to TBS about Everyday Divine, Subodh Gupta’s exhibition showcasing a lesser-known side of India. Westerners shouldn’t feel ashamed of practicing yoga in their own way, they should just be ok with Indians practicing it in theirs. Weiwei’s latest piece of performance art marks a shift in his relationship with the West, as Chetna Prakash explains. With today marking both Australia Day and Indian Republic Day, Chetna Prakash has bore witness to the differing hangovers of colonisation. Chetna Prakash was taken aback by Turnbull’s promises of change; it was the first time she heard positivity from an Australian Politician. Our own Chetna Prakash meets with Balkan music virtuoso Nela Trifkovic as she de-mystifies a deeply rich and proud musical tradition.